Cool Grey is arguably the fan favorite when it comes to colorway. We’ve seen several retros released in that colorway this year and another one has been confirmed for release this 2012. 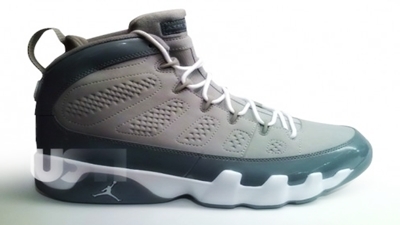 According to reports, it has been confirmed that the Air Jordan 9 “Cool Grey” will be hitting the market on December. This silhouette was last released in 2002 and it can be recalled that it made an instant impact during that year. And with more enhancements and upgrades, expect this to get a lot of attention once again like it did a decade ago. Stay tuned for more updates about it here in Jordans Out!